When you invest in the Enterprise Community Impact Note, you are supporting the creation of vibrant and equitable communities where families have access to healthy, affordable homes connected to good schools, jobs, transit and health care services. 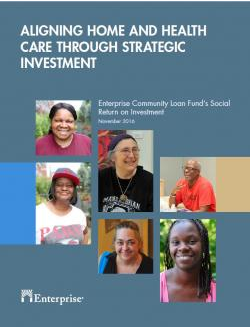 This report features the stories of people who are prospering thanks to your support. They are residents and patients at CAMBA Gardens in New York City and Stout Street Health Center and Lofts in Denver. This is your Social Return on Investment.